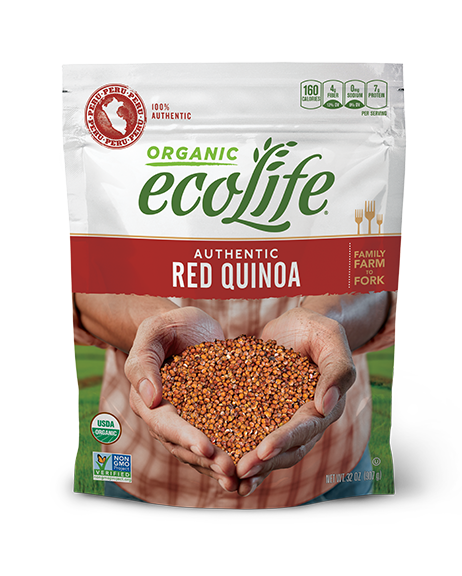 ecoLife® Authentic Red Quinoa comes from the heights of the Andes Mountains. 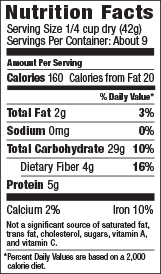 Cultivated as the staple grain and sacred food of the Inca people, Quinoa was hailed as “the mother of all grains.” Thousands of years later, quinoa still enjoys reverence as a “super food” with its naturally high protein, fiber, and gluten-free properties. When boiled or steamed like rice, red quinoa cooks up in 12 minutes and makes a beautiful, vibrant addition to any recipe. Rinse quinoa well under cold running water. Combine 1 cup rquinoa and 2 cups water in a saucepan. Simmer 12 minutes or until water is absorbed. Remove the pan from the heat and let rest covered for 5 minutes. Fluff with fork and serve.